Boasts 26 Highway MPG and 20 City MPG! 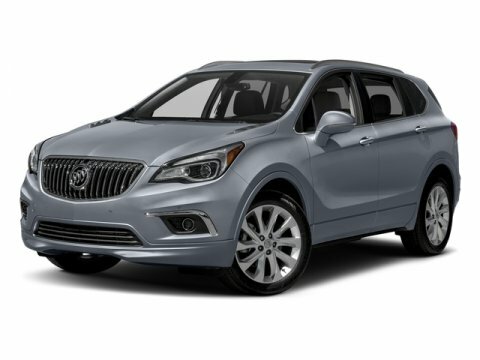 This Buick Envision delivers a Gas I4 2.0L/122 engine powering this Automatic transmission. TRANSMISSION, 6-SPEED AUTOMATIC, ELECTRONICALLY-CONTROLLED WITH DRIVER SHIFT CONTROL (STD), SEATS, FRONT BUCKET (STD), PREMIUM I EQUIPMENT GROUP Includes standard equipment. *This Buick Envision Comes Equipped with These Options *ENGINE, 2.0L TURBO DOHC 4-CYLINDER SIDI with Variable Valve Timing (VVT) (252 hp [185.3 kW] @ 5500 rpm, 260 lb-ft of torque [352.5 N-m] @ 2000 rpm) (STD), EBONY, PERFORATED LEATHER-APPOINTED SEAT TRIM W/EBONY INTERIOR ACCENTS, EBONY TWILIGHT METALLIC, AUDIO SYSTEM, BUICK INTELLILINK RADIO WITH NAVIGATION, AM/FM/SIRIUSXM STEREO AND CD/MP3 PLAYER with 8" diagonal Color Touch Screen, includes 2 USB ports inside center console, auxiliary input jack, SD card reader and Bluetooth streaming for audio and select phones, Wipers, front intermittent, Rainsense, Windows, power, rear with Express-Down, Windows, power with front passenger Express-Down, Windows, power with driver Express-Up and Down, Wheels, 19" (48.3 cm) 10-spoke aluminum with premium Manoogian Silver finish, Wheel, 17" (43.2 cm) steel spare. * Stop By Today *You've earned this- stop by Bleecker Buick GMC located at 926 E 4Th Ave, Red Springs, NC 28377 to make this car yours today!